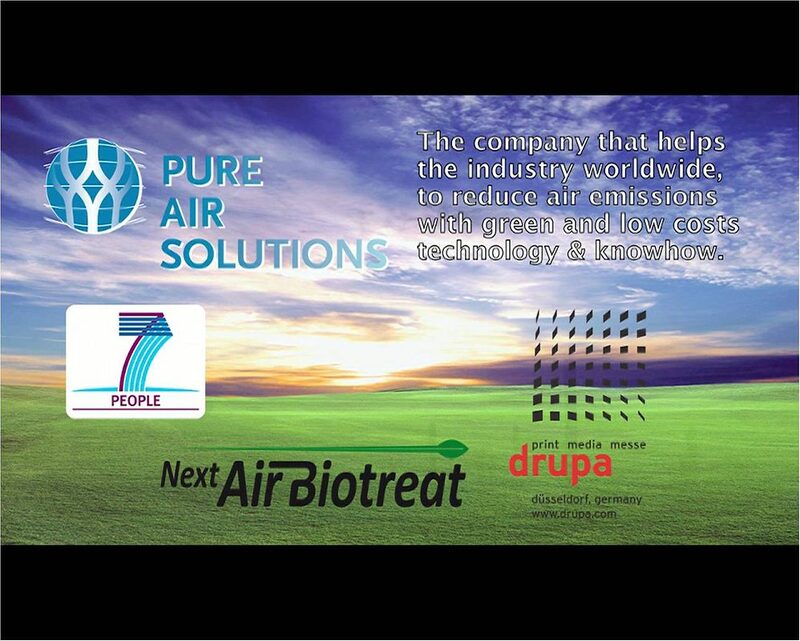 The Next Air Biotreat partner Pure Air Solutions will present their VOCUS technology for the treatment of air emissions with Volatile Organic Compounds at the International Trade Fair DRUPA 2012. This trade fair is held every 4 year and it is the most important exhibition for prepress, premedia, printing, book binding, print finishing and paper converting processes. DRUPA 2012 takes place from 3 to 16 of May 2012, where Pure Air Solutions can be found as co-exhibitor of SOMA Engineering in Hall 17 | Stand A39. 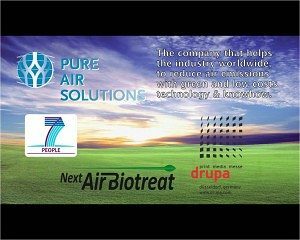 With sustainability as one of top 3 items in the industry, Pure Air Solutions demonstrates that emission of Volatile Organic Compounds can be reduced with a clean and green biological solution. During part of the exhibition the Next Air Biotreat postdoc researcher Feliu Sempere will provide scientific background and technical backing about the working principles and utilization of biological processes to control VOC emissions. Feliu is currently in his secondment period at Pure Air Solutions, as part of the 4 year research program funded by the European Union FP7 Marie Curie program.